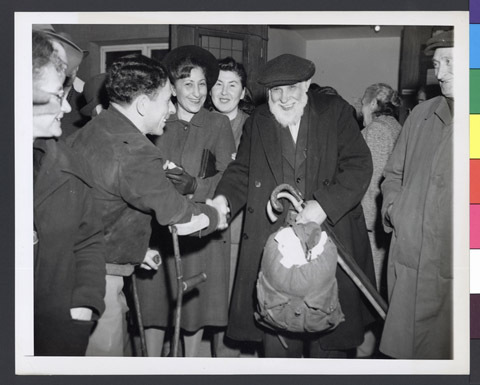 JDC - Archives : A Jewish TB patient refugee leaving Bad Woerishofen for Israel. Title A Jewish TB patient refugee leaving Bad Woerishofen for Israel. Description One of the first transports of Jewish TB patients leaving Bad Woerishofen for Israel, where they will be cared for.